What makes the Institut Bordet so exceptional is the truly multidisciplinary nature of its approach to diagnosis and therapy. Once diagnosis is made, treatment decisions are taken. These decisions are reached through collective consideration and joint agreement by a number of specialist doctors and health care professionals who are experts in the type of cancer concerned: oncologists, surgeons, radiotherapists, etc. These therapeutic strategies call upon the most up-to-date techniques. A key feature of the Institut Jules Bordet is the close integration of research and medical practice, which enables patients to take part in clinical studies of all the latest therapeutic modalities and to benefit as quickly as possible from the latest discoveries made in research laboratories. Numerous clinical research programmes are conducted in cooperation with other cancer centres and national and international networks. Academically speaking, and working within the framework of the missions it receives from the "Universté Libre de Bruxelles", the Institut Bordet is renowned for the quality of its teaching. Every year, dozens of medical students and doctors on specialist courses come to train with our medical teams. 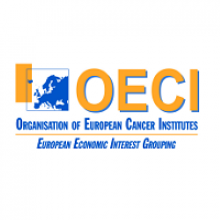 Twice, in May 2013 and May 2018, the Institut Jules Bordet received accreditation and certification by the Organisation of European Cancer Institutes (OECI) as a “Comprehensive Cancer Centre”. This quality label is awarded only to multidisciplinary cancer care institutions that integrate research, training and patient care and whose activities achieve certain quantitative criteria. This makes us unique in Belgium. 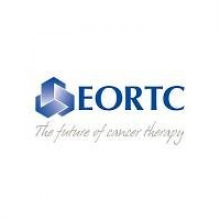 Founded in 1962 by Professor Henri Tagnon, the Institut Jules Bordet’s director of the time, the European Organisation for Research and Treatment of Cancer (EORTC) developed within our walls for more than 20 years. Today, the Institut Bordet continues to play a key role in numerous research projects and international collaborations coordinated by the EORTC. The Jules Bordet Institute is part of ERN-EURACAN, the European network of centres of expertise in rare tumours. This dynamic network of interconnected experts, coordinated by the Centre Léon Bérard in Lyon, guarantees the best care for 300 types of rare tumours. The Institute is also a member of ERN-EuroBloodNet, the equivalent for rare blood diseases. 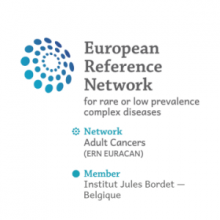 ERN stands for European Reference Network, a quality label introduced by the European Union for rare diseases. 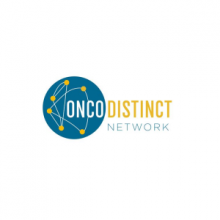 The Oncodistinct international network, initiated by the Jules Bordet Institute, groups together oncological research centres that wish to promote innovative approaches to cancer treatment. 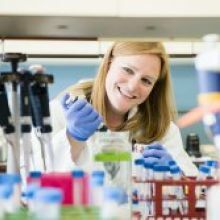 The investigating doctors and researchers who take part in Oncodistinct undertake to develop approaches that make it possible to tailor treatments better to individual patients’ needs. The Institut Jules Bordet is a university hospital and belongs to 2 leading hospital networks in the Brussels region. The "Universté Libre de Bruxelles" is one of Belgium’s leading universities. The Institut Jules Bordet shares the same values of commitment, excellence, independence and free thinking. 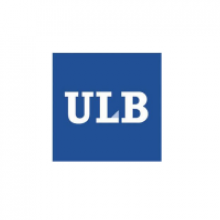 A great majority of the Institut’s doctors and professionals trained at the ULB. 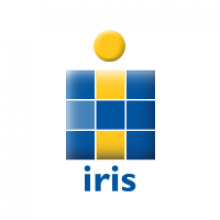 iris is Belgium’s largest hospital network. It includes 5 public hospitals in Brussels, of which the Institut Jules Bordet is one. The Institut Jules Bordet is also the cancer reference centre for the new Brussels University Hospital (CHUBxl). 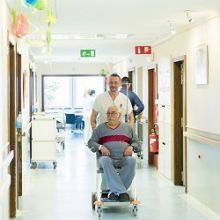 This network is supported by the City of Brussels, its Public Welfare Centre (CPAS) and also includes 3 other public and university hospitals in the City of Brussels: Brugmann University Hospital, St Pierre University Hospital and the Queen Fabiola Children’s Hospital. With a staff of over 1000, the Jules Bordet Institute covers all the medical and paramedical disciplines related to the treatment of different types of cancer. Our aim is to offer a patient effective treatment in an agreeable environment with a human dimension. To achieve this aim, the Department of Human Resources plays a key role in the organisation by supporting all the multidisciplinary teams. Since it was founded in 1939, the Institut Jules Bordet has always remained loyal to its pioneering role in the fight against cancer. With this complex disease, the lives of patients and caregivers do more than simply cross paths, they become entwined. Here are some of the key dates in the history of the Institut Jules Bordet – an institution that is proud of its past but which always looks resolutely towards the future. Doctor in medicine, specialist in bacteriology and immunology. Nobel Price of Physiology and Medicine in 1919.